2 independent unity gain dc coupled VCAs with led push button switches to turn channels on and off. a mix of both channels is available at the sum. all outs are available simultaneously.great for cv or audio. the newest version has normalizations to +5v, so with nothing plugged into the ins voltage can be toggled on and off at the outputs and sum. 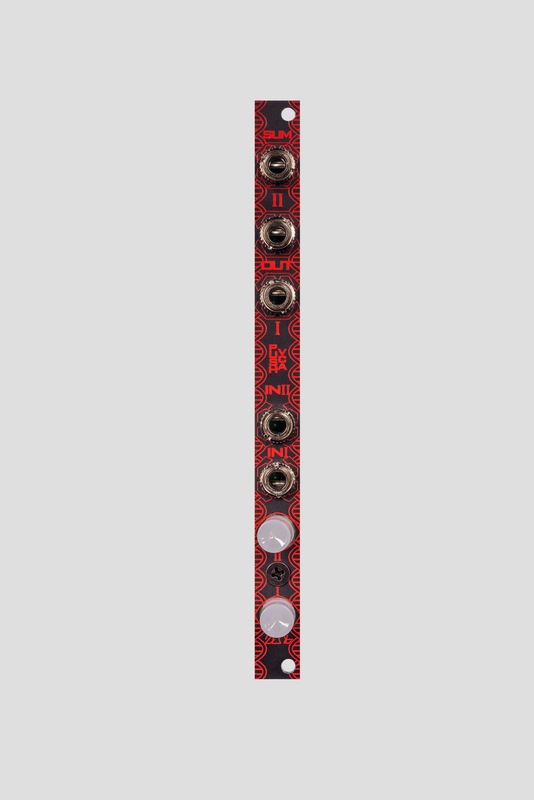 also im starting to offer the push vca with latching or momentary push buttons. get it touch if you want momentary, otherwise it ships with latching. led button color may vary between red and yellow. but it will always be 2 of the same color, unless requested.